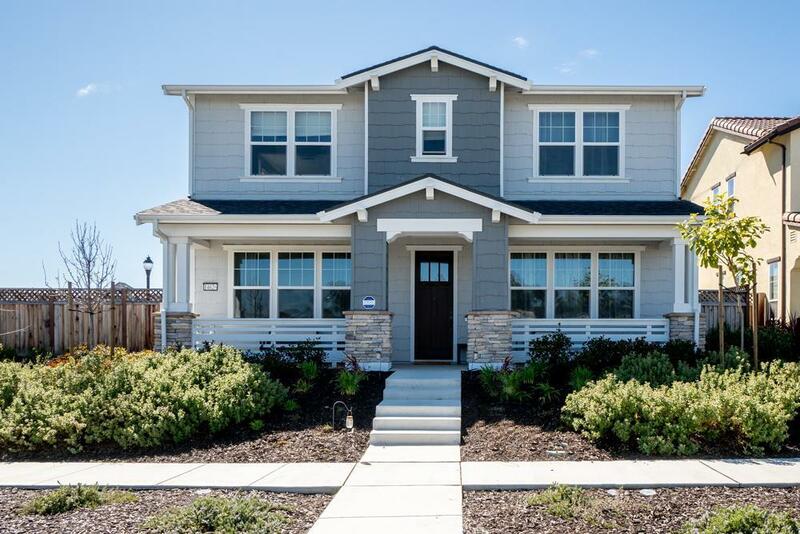 This beautiful two-story home is located in the highly-desirable planned community of East Garrison. This spacious and modern home features a gourmet kitchen with Viking appliances, large island breakfast bar, granite counters, and ample cabinets. This property has a bedroom and full bath on the main level, and a loft with amazing views of the park across the street. This home features a detached three- car garage and is sited on a premium corner facing lot which offers plenty of guest parking. Enjoy the huge master suite with a soaking tub, double vanity, and walk- in closet. This house is perfect for entertaining with its beautiful pergola and spacious backyard. And all just minutes from parks, shopping, restaurants, and the beach!